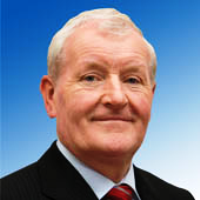 McLoughlin welcomes HSE move to provide 24 hour Sligo GP service. HSE plans to establish a new 24 hour GP service in Sligo. Deputy McLoughlin said in a statement that Sligo was one of the only few counties in the country not to have such a service in 2014. “After receiving numerous requests for assistance with establishing the service from a number GP’s and patients in Co. Sligo, I am now very pleased that my representations to the Minister for Health on the issue have been acted upon, and I welcome the recent decision to include the service in the HSE Operation Plan for 2015. He said the GP community in Co. Sligo was “totally behind the new project”, which is what “ultimately led to the success of the idea. “I will now make further representations to the Minister for Health, to ensure that this service is established as quickly as possible for the people of Sligo” he added.